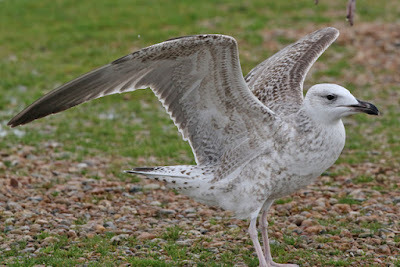 I thought it'd be good today at Dunge, as it's like many things in birding - the worse the weather, the better the birds. 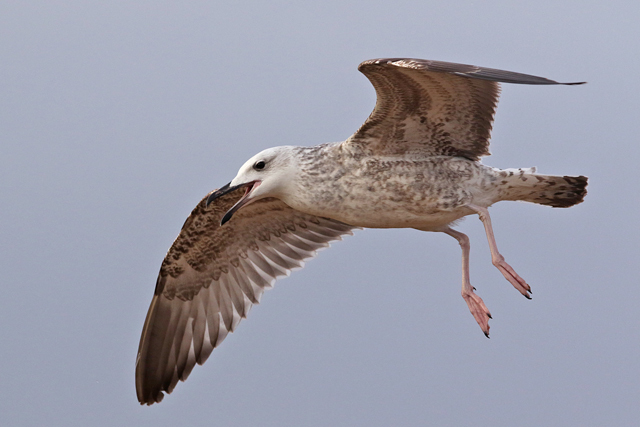 And so I headed down earlier than normal, loaded up with gull feeding material and full of expectations. It was pretty blowy all day, and so quite rightly decided to do the puddles as sitting on the beach would have been thoroughly unpleasant. 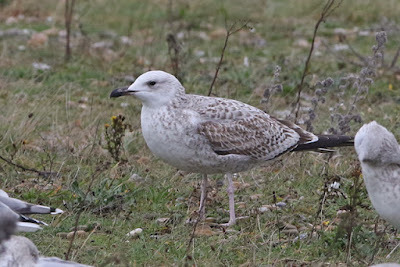 There were a few birders about, including Barry W and John T, as well as the usual suspects of Mick S, Richard S and Dave W. And there were lots of gulls too, including at least four, probably five, 1st-winter Caspian Gulls! Bird number one was a showy bird present on the puddles pretty much all a'noon; typically vocal and aggressive, it was a classic first-winter in every respect. 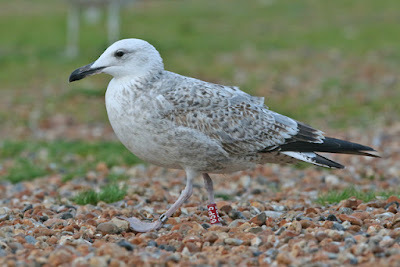 Ridiculously confiding and entertaining, I may need to do a post on this bird on its own. 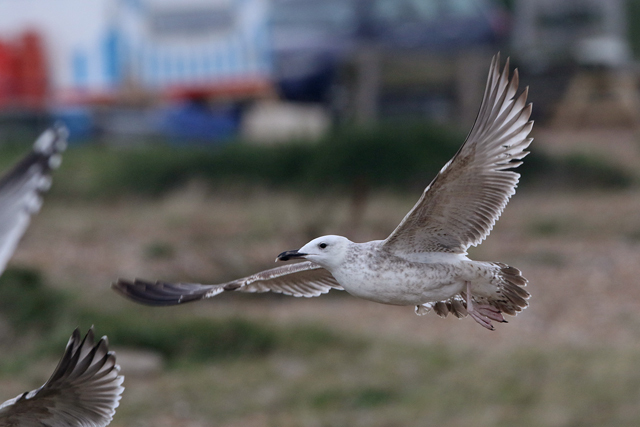 Bird number two arrived late on in the day, and was actually the bird I was hoping to get out of the day. Present in the Dungeness area since 27th October, this first-winter was ringed in Poland (65P5). 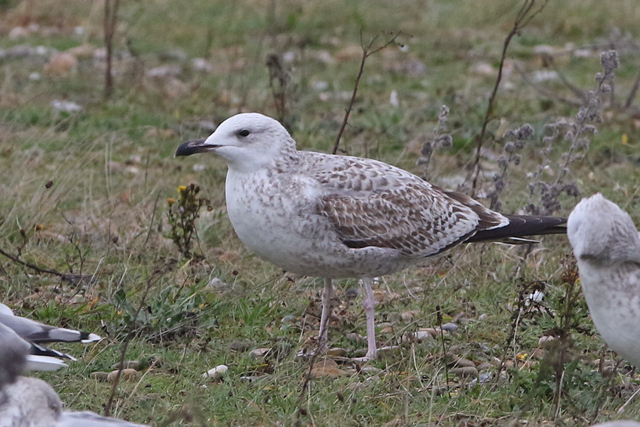 Bird number three was again, like all others today, a first-winter and present in the roost late morning. 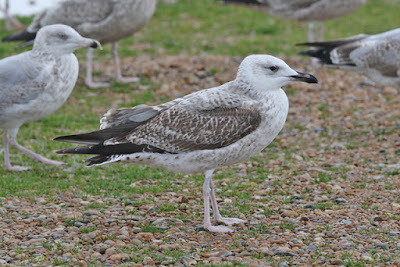 A fairly obvious individual, though greater coverts on the pale side compared to a classic. It didn't allow too close an approach either, nestled in between all the other birds and trying to keep shelter from the wind. 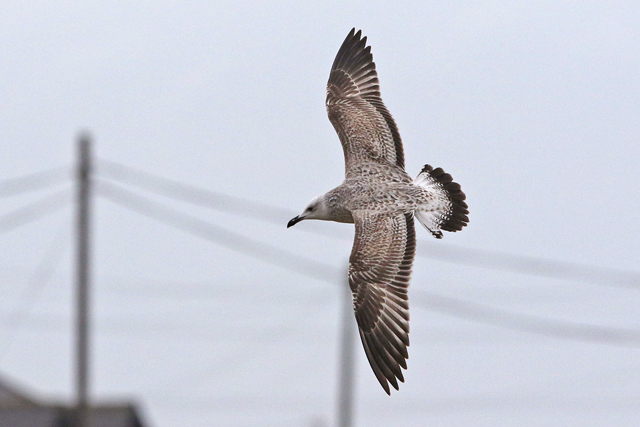 Bird number four was present mid morning briefly, until it flew off towards the power station. 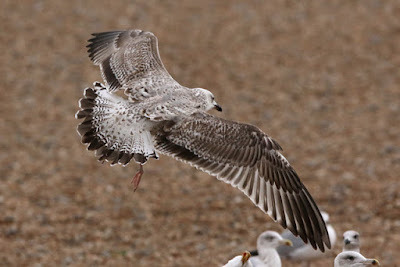 A fairly classic looking bird, with obvious wear in its left wing that was quite distinctive. 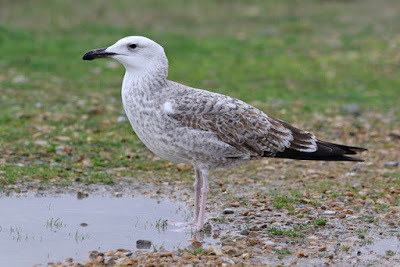 There was another 1st-winter Caspian Gull briefly in the puddles, but it headed off before any meaningful photos could be taken - so could have feasibly been bird number three or four above. However, the beast below (probably number five) was the first 'Caspian Gull' I clapped eyes on this morning, and with Barry W and John T, identified it as such initially. However, when seen in flight its uppertail was rather well marked combined with its blunt bill and mottled central great coverts - probably would be fine if seen distantly in a Midlands gull roost, but given the hybrid context is closer to us than the majority of the real deals then surely we're going to get birds, potentially such as this where there could be a bit of mixed heritage. 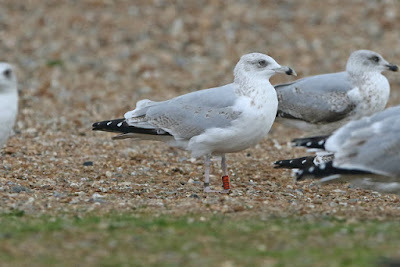 There were also four Yellow-legged Gulls (adult, second-winter and 2 first-winters) plus a nice assortment of gulls with bling. 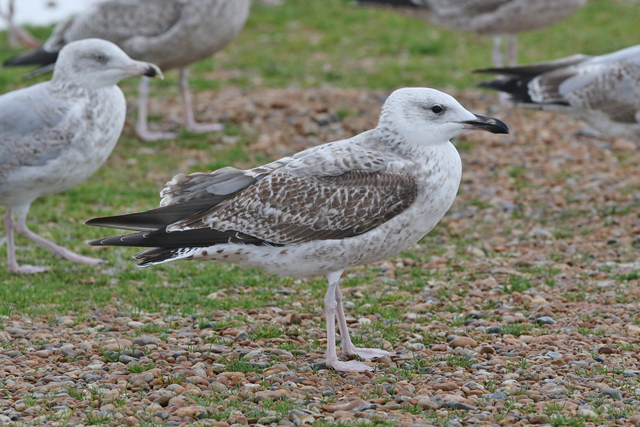 Some usual suspects (such as a couple of regular Norwegian and Guernsey Great Black-backed Gulls) but also the 'fish and chip' Dutch-ringed Great Black-backed Gull from last weekend plus a NTGG ringed Herring Gull that I'd stalked from Rotherhithe!